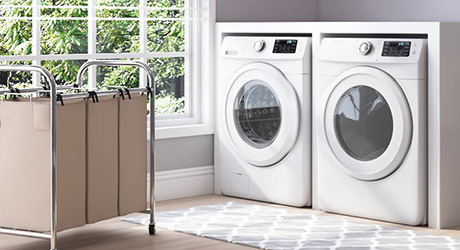 High-efficiency, or HE washers were developed beginning in the mid-90s in response to new guidelines enacted by the Department of Energy intended to reduce water and energy usage in everyday appliances. 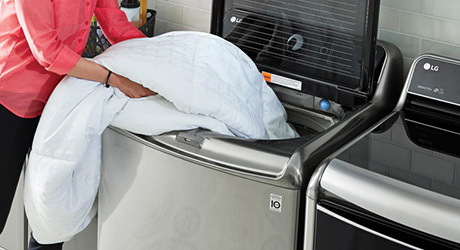 This guide will help you understand the benefits of high-efficiency washing machines and see how manufacturers are adding features to answer consumer demands. 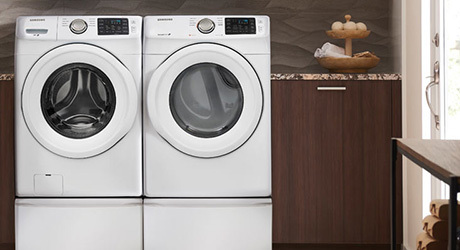 HE washers currently use up to 65 percent less water and 50 percent less energy than traditional top-load washers, and these statistics continue to improve as the machine designs become more and more efficient. Additionally, HE models come equipped with sensors to detect load sizes and can adjust water levels and other cycle elements to produce the cleanest wash while still conserving. Both HE top-load washers and HE front-load washers use a tumbling action to move clothing through the water in the drum, rather than the agitation used by traditional washers. The familiar center post, or agitator, from the traditional washer is replaced by an impeller, a rotating hub that rises just slightly above the floor of the washing machine tub. The impeller creates strong currents in the water that whisk soil and stains out of fabrics. With no center agitator to thrash against, clothing is protected from stretching and fading while still getting efficiently cleaned. The impeller also takes up less space, allowing HE washing machines to have more usable cubic feet of wash space than traditional machines. Another way the high-efficiency washer differs from the traditional is in the rinse cycle. HE washers use a high-pressure spray of water to rinse the laundry rather than refill the drum. This both saves water and rinses the clothes cleanly without saturating them a second time. HE washers also spin at higher speeds. This removes more water from the laundry, in turn reducing the amount of time your clothes will spend in the dryer and the energy it takes to dry them. In addition, since HE washers accommodate larger loads, they help cut down on the time spent on the chore overall. High-efficiency washers come in both front-load and top-load styles. 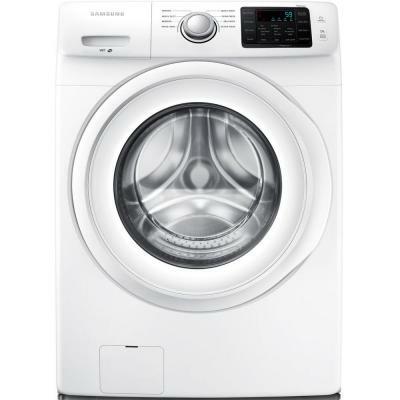 Both styles have larger capacity than a traditional washer and use less water and detergent. HE-Front-Load Washer can be stackable (with stacking kit) to save space; check model requirements to be sure you purchase a compatible stacking kit for your HE stackable washer and dryer. HE Top-Load Washers cannot be stacked and washer and dryer need to be placed side-by-side. Front-load, if not stacked, requires pedestal (sold separately) to raise machine to comfortable height. Top-Load does not require a pedestal. Front-Load washers are generally more expensive than Top-Load washers. Front-Load wash cycle runs between 75-100 minutes and a Top-Load washer cycle runs for 60-90 minutes. 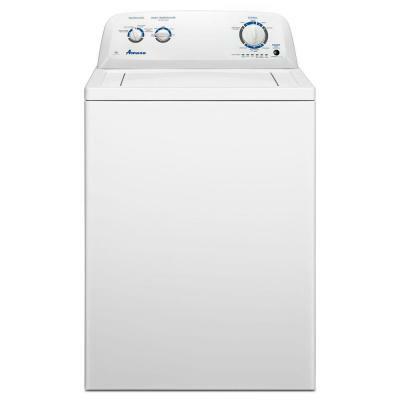 Because HE washers accommodate significantly larger loads, they operate with longer wash times. However, most HE washer models have a quick-wash option that improves wash times on smaller loads without sacrificing performance. In addition, more recent HE washer models come with smartphone connectivity which can deliver alerts when your wash cycle is complete, allowing you to spend wash time more efficiently completing other tasks. Use only HE detergent in both HE front-load washers and HE top-load washers. HE detergent is specially-formulated for the lower water volume used by HE washers. HE detergent is low-sudsing and made to keep soil from redepositing on clean clothes. Look for the HE symbol on detergent packaging. Limit detergent amounts. Generally HE washers need only two teaspoons of HE detergent to clean effectively. Be sure to read instructions for the individual detergent brand and follow instructions. Leave the HE front-load washer door open slightly at the end of each use to let the moisture inside the machine evaporate. This prevents mildew and mold from developing around the door seals. Cleaning HE washers should be done monthly. Activate the cleaning cycle on your machine to keep the machine fresh and free of odors. There are also HE washer cleaners that use the normal wash cycle to clean the interior of the machine.